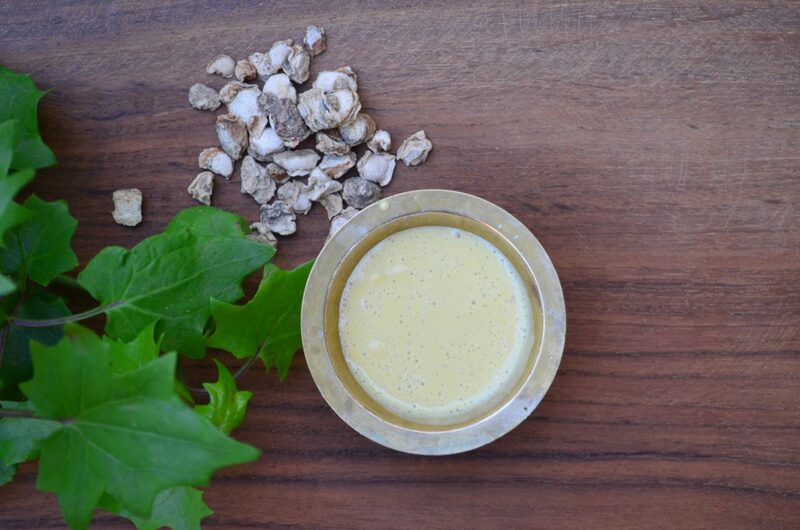 White Turmeric popularly called Poolankilangu, Kachur and Zedoary has wonderful medicinal uses and health benefits. We use it extensively for face and skin care for treating acne and pigmentation and it also removes unwanted hair. Poolankilangu is used extensively for skin care for babies in our place. Along with the medicinal uses given below, it also reduces blood sugar levels so white turmeric tea is good for diabetic patients and it also has powerful anti cancer properties! Though almost all part of the plant is used medicinally, the rhizome is the most used part. White turmeric essential oil distilled from the plant also has wonderful medicinal uses. What Is White Turmeric | Poolankilangu? White turmeric (Poolankilangu) is a rhizome and a close relative to our regular turmeric. The rhizome has thin brownish skin and a firm white interior. Poolankilangu is very very fragrant and it was used as a aromatic spice from ancient times. But now it is mostly replaced by our regular ginger. Poolankilangu plant is a perennial herb that is mostly found in tropical countries like India, Japan and Thailand. The flowers are pink and white in colour. In India, it is mainly used for external application and rarely in cooking. In cooking, it is mainly used for making pickles. In some countries like Thailand, it is used in curries and in salads. The botanical name of white turmeric is Curcuma Zedoaria and it belongs to the family Zingerberaceae and genus Curcuma. Poolankilangu is the Tamil name and Zedoary is the common English name. 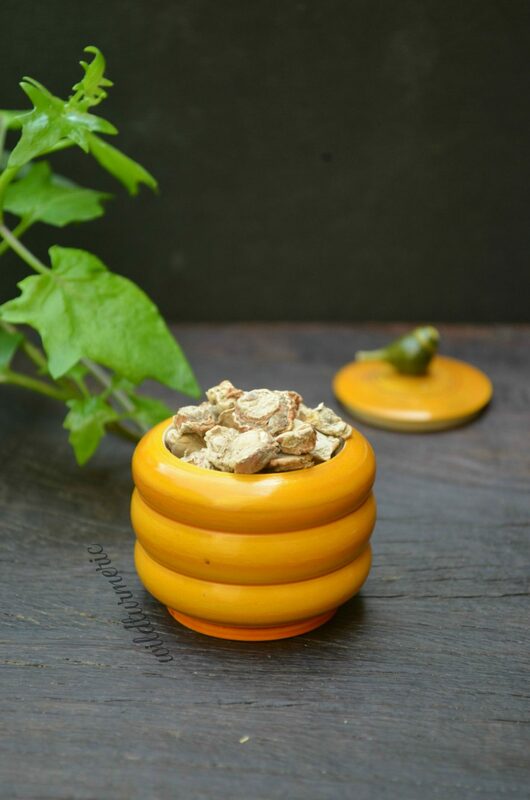 It is called Kachoor | Kachur | Nar Kachur | White Haldi in Hindi, Kachur in Punjabi, Kachora in Kannada, Katcholam in Malayalam, Gandha Kachuralu in Telugu, Shati in Bengali, Kapura Kachari in Marathi, Kachoor in Urdu and Kapur Kachali in Gujarati. Some of the important chemical constituents found in white turmeric that is responsible for it’s many medicinal uses are curcumenol, dihydrocurdione, curcumin, dihydrocurcumin, zerumbone, furanodiene, furadienone, germacrone, curdione, curzeone, neocurdione, zedorone, curzerenone, dihydrocurdione and curcumenone. Some of the important chemical constituents isolated from the essential oil are curzerenone, 1,8-cineole and germacrone. White turmeric has been traditionally used for treating menstrual problems, vomiting, allergies, indigestion and also for treating cold, cough and fever. In some places, the juice got by crushing the roots is used for expelling worms and the extract is also used for preventing cancer. The leaf juice is used for treating leprosy and oedema. The leaf paste is used a poultice for treating skin problems. Here in our village, we always add white turmeric to bath powder recipes and use it for skin care on a daily basis. It prevents all skin infections and it also makes the bath powder smell very nice. White turmeric has been traditionally used for cancer treatment and this traditional use has been proven to be true. A study proved that it is cytotoxic to gastric, breast and ovarian cancer cells. The compound that is responsible for it’s anti cancer properties is curcuzedoalide. The water extract of white turmeric has been proven to be effective in preventing many cancers! White turmeric powder consumption is very very good for people suffering from high cholesterol levels as it reduces LDL levels and increases HDL levels. In a study of people who were asked to regularly consume white turmeric powder for about 6 months, LDL dropped by 5.6 % and HDL level increased by 6% which is amazing! It’s due to it’s amazing anti microbial properties that it is so effective in treating many skin problems including acne. If we use white turmeric for external application, it will treat all skin problems really well. Along with using it in bath powder recipes, I also love to use white turmeric powder for making face packs too, it helps keep the skin blemish free. Like all varieties of turmeric, white turmeric also reduces inflammation very very quickly. For reducing inflammation, we can either use it externally or consume the water extract of the root got by boiling the dried root in water. Both will work well in reducing the inflammation. Another astonishing medicinal use of white turmeric is it’s analgesic (pain reducing) properties. The water decoction of the roots has been proven to be even more effective than standard over the counter pain relieving medicines we take regularly! Curcumenol present in white turmeric is responsible for it’s wonderful analgesic properties. Traditionally the water extract of the root is used for treating stomach ulcers. White turmeric root powder has been used in Unani system of medicine for treating ulcers. This is because white turmeric reduces the volume of gastric juice, gastric pH, acid content and ulcer index significantly and has been proven to be as effective as prescription medications for ulcers! All the plants in zingerberaceae family have larvicidal properties and white turmeric is no exception. 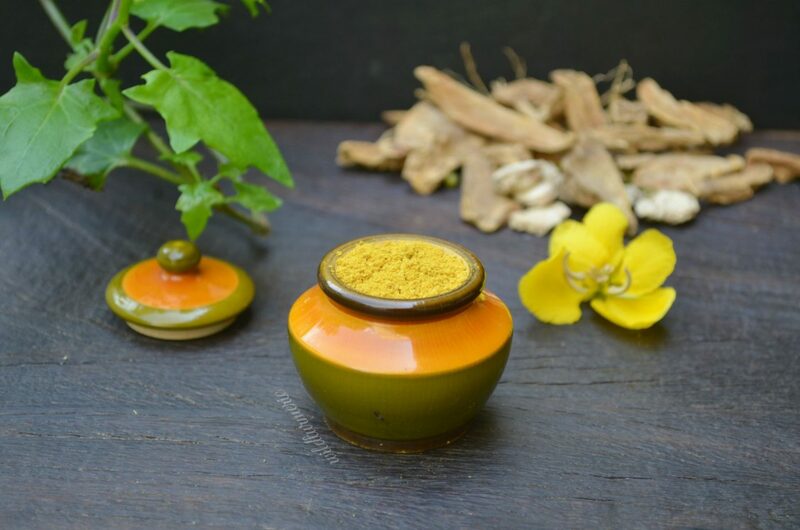 The essential oil extracted from white turmeric is a wonderful natural mosquito repellent. You can include it in homemade mosquito repellent blends or you can just add few drops of the essential oil to diffusers to keep mosquitoes at bay. Imagine a herb that reduces alcohol induced drunkenness within 30 to 60 minutes after alcohol consumption! Indeed there is, and it is white turmeric! Drunken driving is one of the leading causes of accidents and if they alone take a decoction of white turmeric and wait for 30 minutes before driving, it will save a lot of lives. You can read the study that proves it here. Another important medicinal use of white turmeric is it’s anti allergic properties. If you are suffering from allergies regularly, try consuming a cup of white turmeric tea. It will help reduce the allergy very quickly. This is due to curcumin and bisdemethoxycurcumin found in white turmeric. You can read the study that proves it here. White turmeric is amazing to use for skin care and regular use heals almost all skin problems. For minor wounds and scrapes, if we just apply white turmeric poultice, it will helps heal the wound faster. For acne, try using white turmeric face pack daily for a few days, it will help both treat and prevent acne. 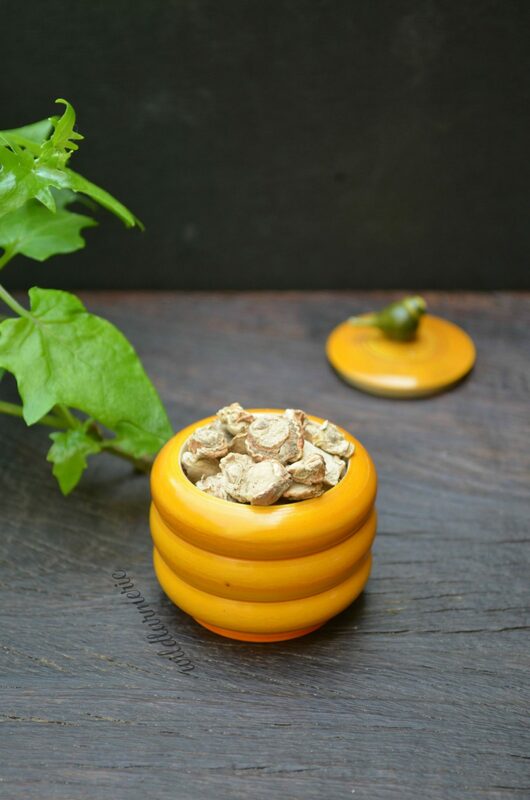 Usually for internal consumption, 1 to 1.5 grams of white turmeric powder is used and this is the general suggested dosage. Even in the study that was done to prove the effect of white turmeric on cholesterol levels, 1.5 mg was the dosage used and the participants never experienced any ill effects even after consuming it daily for 2 months. Most of the participants actually felt their digestion improve while taking white turmeric and didn’t have any digestive issues at all. White turmeric should be washed really really well before use else it can cause serious problems. If you are growing your own white turmeric at home, please remember this. Traditionally, white turmeric is washed multiple times in water to remove some of the toxic products found in it. In a study a flour prepared from dried white turmeric without washing it properly proved to be toxic to the animals that was ingested and you can read the study here. I couldn’t find any information on drug interactions. I would suggest pregnant and breast feeding mothers to be very very careful while consuming white turmeric as the safe amount that can be consumed during pregnancy is not clear still. 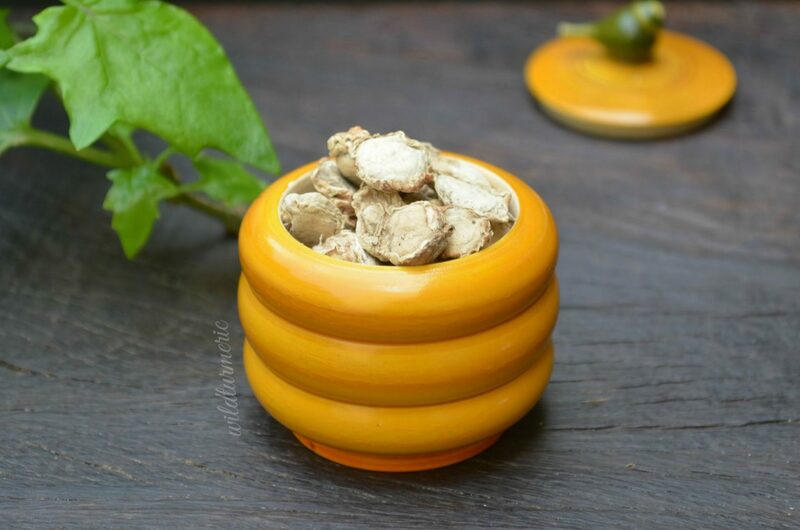 Where To Buy White Turmeric? Take a tbsp of besan in a bowl. Add in a tsp of white turmeric powder to it. Finally add in enough rice water to it and mix well. White turmeric face packs does wonders to skin. It helps heal acne, evens out the skin tone and also helps fade scars and blemishes. This pack will work well for both oily and dry skin. If you have very very dry skin, use milk instead of rice water. This homemade baby bath powder will make your baby’s skin glow & will help remove unwanted hair quickly. Bath powder recipes vary slightly from home to home but the base ingredients usually remain the same and white turmeric is always included in it. For kids, just using bath powder regularly alone is enough to keep their skin blemish free. It also improves skin complexion really well. Some kids might be prone to skin problems due to hereditary reasons and using bath powder regularly will greatly help prevent it. You can watch the full video recipe here. 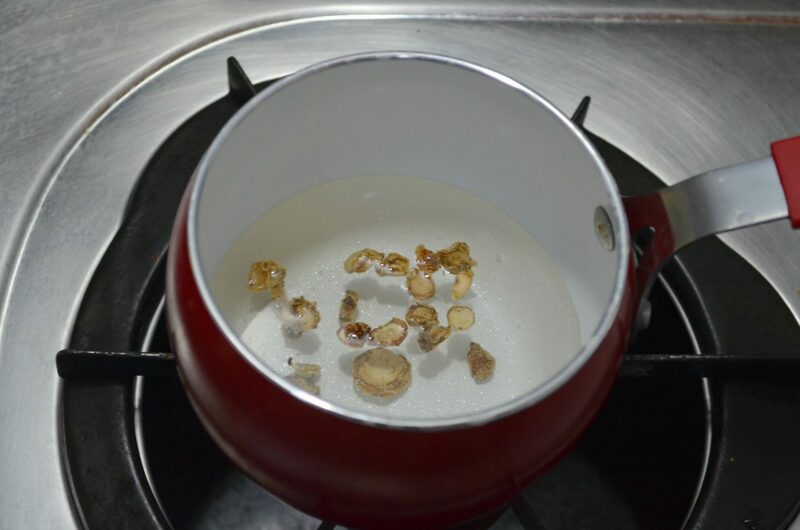 White turmeric tea, though simple to make is wonderful for reducing skin inflammation. It has anti ulcer properties, reduces pain, treats allergies and also has anti cancer properties. To make white turmeric tea, all you have to do is boil dried 1/4 tsp of dried white turmeric in a cup of water, strain and drink. This tea is very very aromatic…. Hi ramya can you plz share a link that you posted in your blog about vasambu bangles for baby and some tip you posted to keep baby room hygenie i was using for my elder kid now i am having a baby so i was missed that post …now from so many days i am searching for that post but i am not getting so plz help me.